Racing a specially prepared camera car through the ’71 Circuit of Ireland Rally, past winner Paddy Hopkirk captures some spectacular footage for the unique film A Dash Of The Irish. Local drivers mix with teams from as far away as Peru at the 187-car race, which has rapid hill climbs and steep, twisting descents. Even top rally drivers find the hairpin turns and rugged terrain tough going, with over 40 cars out of action after the first night. Mechanical failure, rollovers and a fiery crash add to the drama, which continues right up to the final stage in a close finish. The 70s racing scene is further brought to life in the programme ’Winning Ain’t Easy’, which is a comprehensive record of Dealer Team Vauxhall’s 1975 motorsport year, featuring drag racing at Wroughton and a super saloon race at Oulton Park. 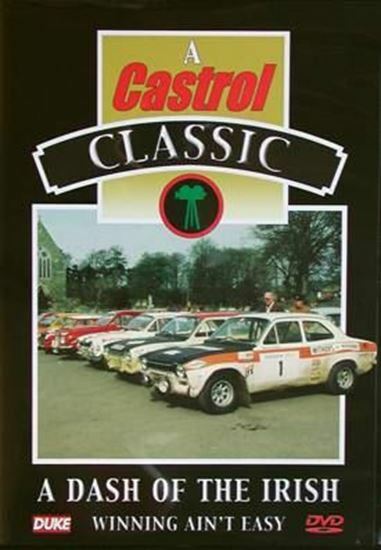 Highlights from the fast tarmac of the Castrol International Manx Rally are also showcased in this 70s racing extravaganza.